For skiers, snowshoers, and expeditions. 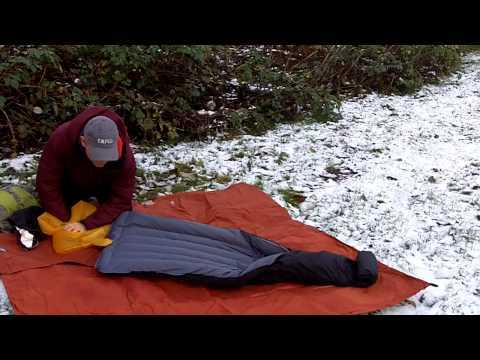 This ingenuous Downmat uses 700-power fill goose down to get you through sub-zero nights. Downmats are luxuriously comfy, and considerably warmer than self-inflating mattress of similar weight. The XP mat includes a Schnozzel Pumpbag, a waterproof stuff sack that doubles as a pump and a compression bag for sleeping bags. Schnozzel Pumpbag allows the mat to be inflated in approximately 2 minutes, even in extreme cold.